My credit score is 737 and it took them a few weeks to let me know that I was denied. I sent them all the necessary documents and they still denied me. 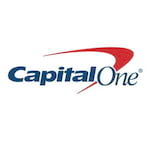 I wouldn't recommend Capital One. Even thou I probably could of see what the problem was, I just decided that it wasn't worth it.